NYC has always fascinated me, be it the bright lights, the fast pace, the style, the people – it’s the enterprising metropolis of the world. When I graduated from University with a BComm International degree, I decided to take advantage of the J1 visa and spend a couple of months getting to grips with all this vibrant city had to offer. What lay ahead? One busy summer and the greatest lesson in sales I could ever hope to receive. It’s the cardinal rule of sales – to know your customer is to know your product. In order to successfully grow your business, a company must have a definite understanding of the needs and behaviours of its target market. From my very first day in the restaurant, I was wholly encouraged to engage with each customer. By getting to know their background, tastes and preferences I could very quickly tailor my sales approach to ensure both parties benefited from the exchange. Despite being located in the epicentre of the financial district, it quickly became apparent that our clientele were inherently diverse. While initial predictions would have suggested that our primary market would be the Wall St. types – businessmen, mid 30’s, looking to try out the latest addition to the social scene; on opening it was immediately evident that the varied menu offerings, vast craft beer and spirits list was to attract all numbers of customers, from tourists to local residents. The challenge was simple – engage with each and every customer, get to know their individual preferences so all tastes could be catered for profitably. 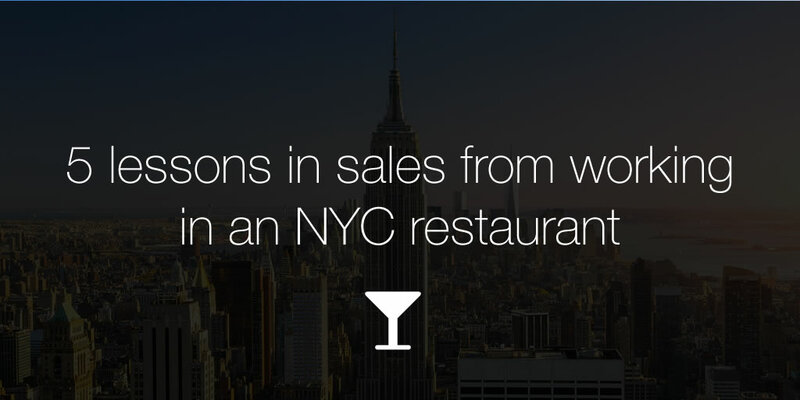 If there’s one thing I’ve learnt from a summer spent as a server in NYC, it’s how to hustle. Hustling, while may be easily misconstrued as some sort of R&B dance move is actually a formidable lesson in sales in action. To hustle is to prioritise; learning how to juggle your customers to ensure all needs are met. Essentially, it’s about being informed and savvy, knowing your prospects, leads and most importantly who your most profitable clients are. In the fast paced industry of restaurant sales, knowing how to hustle was an invaluable tool. From mid-afternoon to late night, each working day our house was full to capacity. Being able to multitask is key especially in a busy sales environment. With a small team of servers and well-over 500 expectant patrons, if we didn’t work together and know how and whom to prioritise then we simply didn’t get paid. Knowing how to get things done in a timely, efficient and profitable manner is the key to business success. Knowledge is everything in sales. Before the doors are even opened, a successful entrepreneur knows who is going to walk through it. What their tastes and preferences are, their age, occupation and what they ate for lunch last Tuesday. 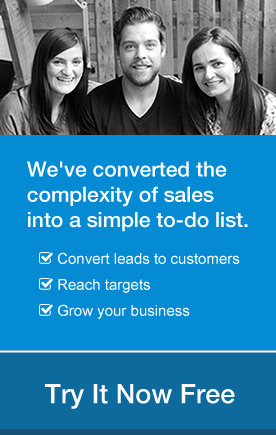 Knowing the market and your competitors within it is essential to tracking sales growth. With an ever rotating food menu, over forty craft beers on draft, and the largest bourbon selection in downtown Manhattan, knowledge was everything in the Malt House. Our customers looked to us for recommendations, product information and all round education, they wanted to be sold to. As the server you were practically invited to join the diner party as the resident host, and if you couldn’t perform to the audience then you would not be successful in making the sale. While it’s impossible to be an expert in all fields, as long as your customer has confidence in your knowledge, you’re already halfway there – the rest is just sugar coating. When you are confident in your product knowledge and approach the selling comes naturally. It creates a monopoly effect, when you have confidence in yourself, your clients will have confidence in you and this in turn will result in profitable exchanges. With a penchant for all things sales and marketing, I was quickly promoted to head tour guide of our brand new fidi (that’s Financial District to you and me) establishment. I was confident in our product and my knowledge of it and this was plain to see when it came to debuting to customers. Of course, a little exaggeration can help the sales process, so our newly installed skylight became an original bespoke piece dating back to the building’s construction in the 19th century, and the American flags that draped over the exposed red brick walls were original pieces from the Revolution. And so, very quickly, the newest addition to the Wall St. bar scene became steeped in culture and history, a must see for all the locals and the ideal location for the next staff party. Customers warm to honesty, approachability and straight talking. You can use all the sales techniques you wish but nothing is comparable to a no-frills, open dialogue. Engaging at a personal level is fundamental to growing a successful business relationship. It’s that one connection, coincidence or happening that will ensure the customer remembers you. In my case, it was that I hailed from Galway in the West of Ireland, the very same place my diners’ ancestors emigrated from many moons ago, sure we were practically cousins, why wouldn’t they come back to see me? Sales success is rooted in the approach and knowledge of the sales person delivering it. Knowing the market, your competitors and your customer’s preferences is essential to a competent sales performance. While the enterprising mecca of New York City might be worlds away from that of Galway, the principles of sales success remain the same. Thanks a lot & great advice! Well done Laura, your New York experience shines through. Thanks Mike – Tried to keep it as authentic as possible! Thanks for the feedback Mary – Not much has changed it seems! It’s a fantastic grounding for any career!